Perique Tobacco, grown only in St. James Parish. Photo by Ken Lund via Flickr. The St. James Parish Comprehensive Plan is a 20-year plan for managing growth, land development, and infrastructure improvements in the parish of approximately 21,000 people in southeast Louisiana. The plan addresses issues regarding public infrastructure facilities, transportation, human services, community assets, land use, and economic development through three elements of the plan: land use maps, improved construction standards, and economic development policies. One of the plan’s major goals is for St. James Parish to become a more resilient and sustainable community. This includes building resilience to natural hazards by reducing vulnerability to severe weather events, specifically hurricanes. To this effect, the parish will continue to participate in the South Central Planning and Development Commission’s (SCPDC) Regional Code Enforcement Council to improve construction standards. While no zoning ordinances have been adopted thus far, suggested land use maps were developed to separate conflicting land uses and direct future growth so that it is compatible with existing development. The economic development strategy further builds upon the parish’s overall goal of achieving long-term sustainability and economic resilience. By creating and retaining jobs, diversifying its economic base, and attracting new capital investments the parish can generate wealth and improve the quality of life of citizens. The plan recognizes that sound land use planning provides the basis necessary for improving the community’s built environment, which attracts investment and development assets leading to job creation and capital creation. The St. James Parish Comprehensive Plan is expected to undergo a major review every five years to assure that it remains a workable and living framework for development. The plan’s reviews will include technical evaluations, a progress report, and citizen involvement to evaluate its effectiveness. Citizens’ main concerns were the preservation of agricultural and historic sites to keep their rural character intact; this goal was realized through the use of zoning. Land use regulations, updating mitigation plans, and using zoning ordinances to prohibit land uses that have adverse environmental impacts are proposed. Floodplain management is enforced, while high density development in flood prone areas is discouraged. Parish ordinances that assign routes for transport of hazardous cargo will reduce the potential for industrial accidents. Agriculture or conservation easements protect ground and surface water resources, wildlife habitat, historic sites, and scenic views, as well as establish buffer zones around industrial sites. The plan identifies assets to be preserved in order to define community character and create a unique sense of place, as well as recognizes opportunities for improvement, like providing more basic services, increasing community connectivity and enhancements, and removing abandoned buildings. 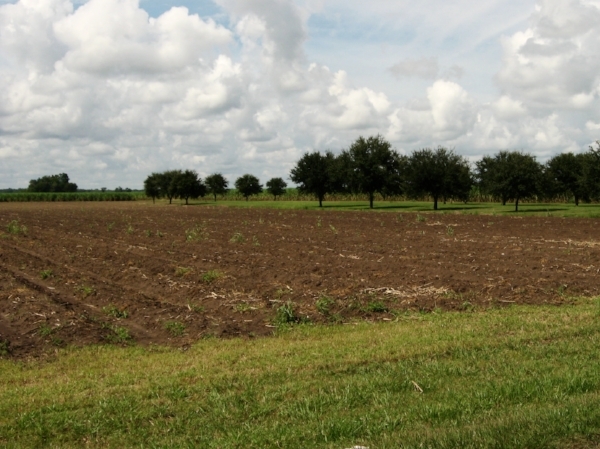 New recreational opportunities, such as regional multi-use levee trails, are proposed to attract tourists from neighboring parishes, while serving as an amenity for parish citizens. Grants to the LADOTD Enhancement Program are proposed funding sources. The plan specifies zoning that requires lower densities in some areas while selectively promoting higher densities in other locations in order to preserve agricultural lands. Industrial development is controlled through buffer zones and ‘freezing’ areas deemed inappropriate for industrial development based on the land use plan. The parish has taken the important steps of assessing needs, highlighting priorities, seeking out funding sources, and proactively considering economic development. However, the plan needs to detail specific actions that should be taken to measure long-term effectiveness of the goals and strategies outlined within elements of the plan. The addition of designating responsibilities for strategies and actions will help in measuring progress and adjusting the plan into the future during the review process.